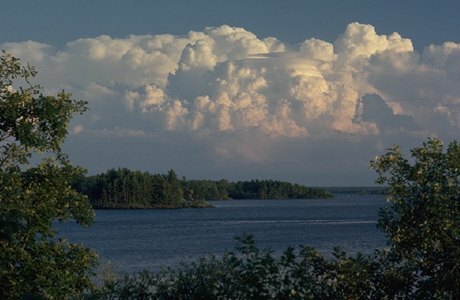 Voyageurs National Park contains 218,054 acres, with 134,265 acres of land and 83,789 acres of water. Voyageurs provides outstanding opportunities for year-round recreation. Most visitors come during the summer to fish in one of the many lakes within the park, or to explore the interconnected waterways by motorboat, houseboat, canoe or kayak. Autumn is the ideal time for hiking, when crisp cool weather and beautiful fall colors make exploring the park's trails most enjoyable. Winter brings extreme cold to northern Minnesota, transforming the park into a glittering land of ice and snow. Visitors to the park enjoy snowmobiling, cross-country skiing, snowshoeing, and ice fishing during this special time. Spring provides renewed opportunities for watching wildlife as thousands of migratory birds return to the park to prepare for the summer breeding season, or to rest on their journey further north.